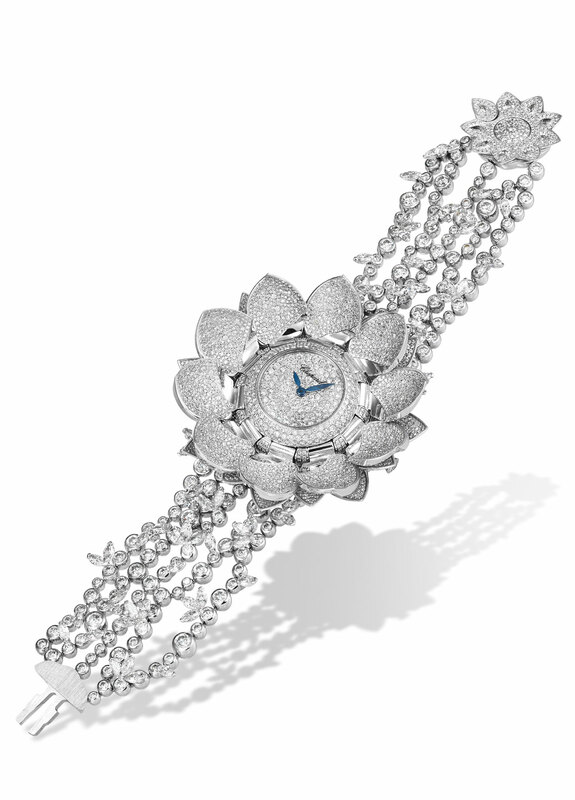 “Chopard has achieved worldwide recognition for the quality of its High Jewellery models. I am proud of the work accomplished over the years by my design and creative teams. I wish to express my gratitude to the artisans of the High Jewellery department. Together, we daily create supremely refined models blending tradition and innovation, contemporary and ancestral techniques, stunning material combinations and perfect colour associations, together with light effects and daring designs. In this relentless quest for excellence, beauty and sophistication are a constant source of inspiration.” The white lotus, a remarkably delicate oriental flower, symbolises purity of heart and mind. 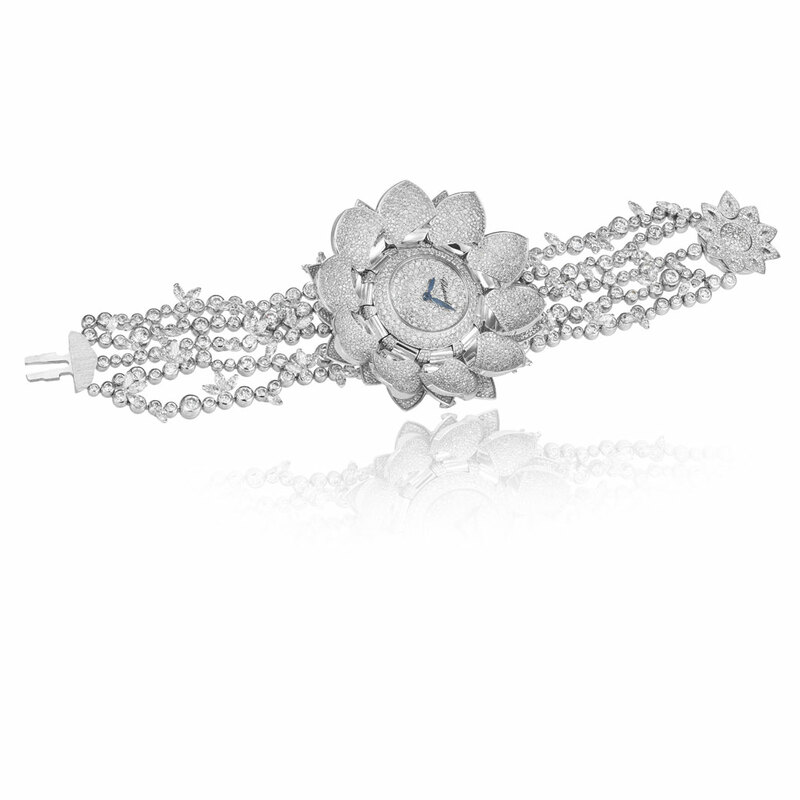 Stemming from an encounter between the watchmaking expertise and jewellery creativity of the Maison, the Lotus Blanc watch unfurls like a corolla to reveal the secret of its exceptional beauty: infinite creativity combined with perfectly mastered execution. Chopard’s passionately dedicated co-president, Caroline Scheufele, draws inspiration from her travels and her encounters in giving rise – supported by the High Jewellery department designers – to the most fabulous creations. It was during a trip to South-East Asia, when strolling in a garden, that she was touched by the exquisite refinement of the white lotus. A sacred flower in eastern religions, this apparently fragile aquatic plant served as a throne for divinities, for its dainty petals conceal an incomparable force enabling the lotus to be daily reborn, as immaculate and pure as on its very first day. Its corolla closes every night, before blooming once again at sunrise. To express this perpetual renewal, Chopard has dreamed up a gorgeous secret watch that can be uncovered at will.